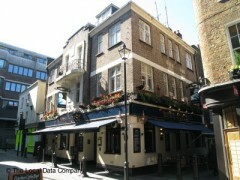 About: White Horse serve traditional pub food and show all major sporting events. They can cater for private parties of up to 50 people and provide outside seating on the pavement. Went here with the hope of some good British food and a pint, the drinks were fine, however, the food was terrible. I ordered a beef burger with chips and what I got seemed more like poor meat that had been minced and then burned to a crisp served with 'end of the bag' chips. Please improve!! Good situation, lovely decor, surly service, unprofessionnal attitude,waiting for food for 40 minutes and it is overcooked when it comes.